Allows changing from a steady stream to a powerful, high-volume spray with a touch of a button. 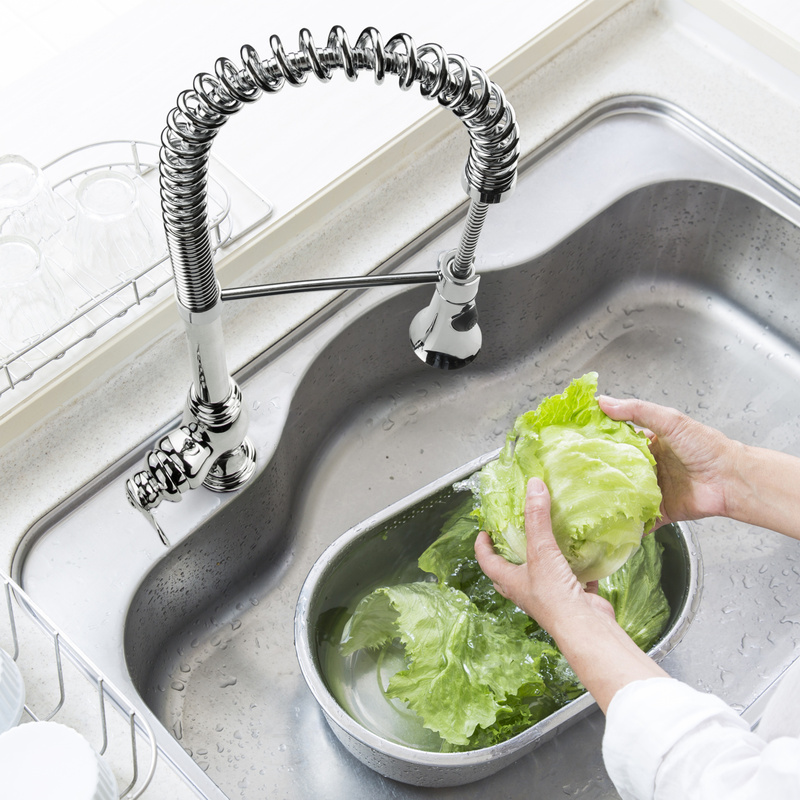 Impressive height: 23.6"; adjustable spout reach: 6.7" - 9.5"; spout height: 6.3" - 10.5"
iSpring's pull-down kitchen faucet brings the professional look and feel to your home kitchen. 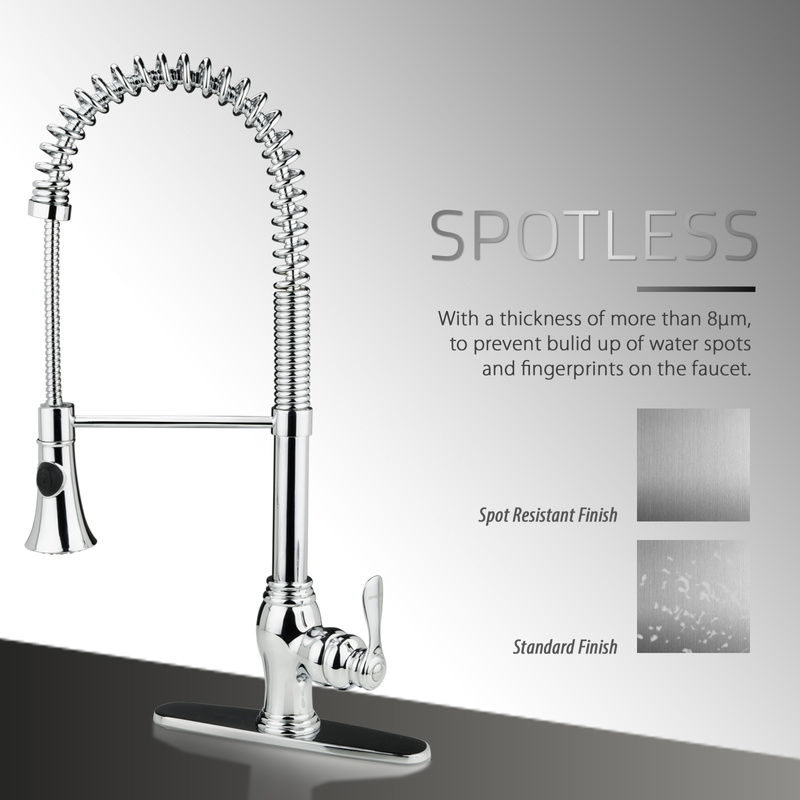 Equipped with single-handle control and ceramic disc cartridge, this iSpring kitchen faucet will not only have contemporary appeal, but also convenience, precision, and durability. 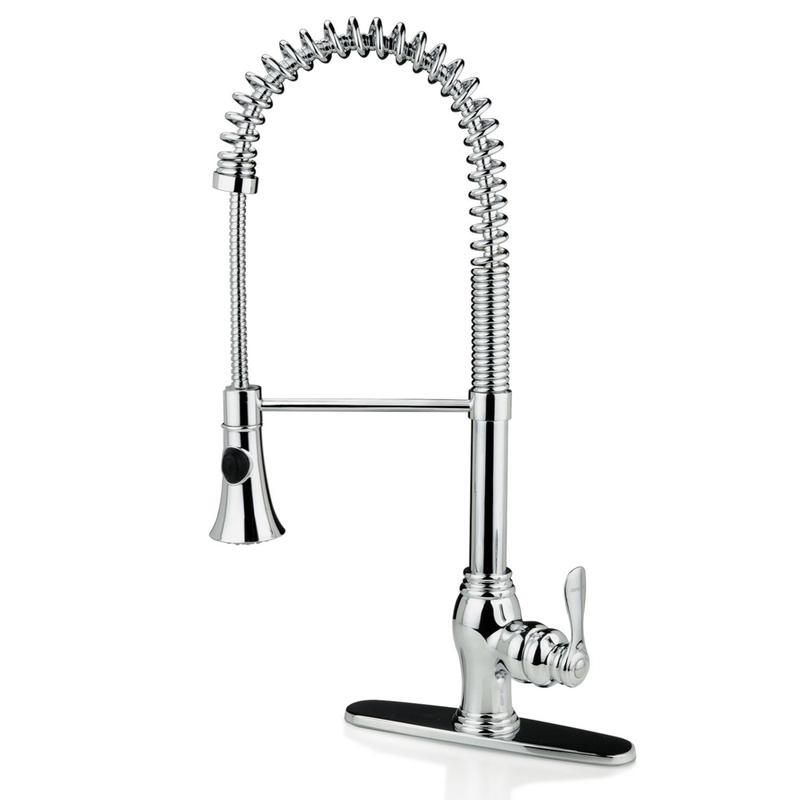 For a modern look and excellent durability, choose this iSpring kitchen faucet with a luxury triple plated physical vapor deposition (PVD) chrome finish. Its high-arc spout swivels 360-Degree and provides extra clearance for deep pots and pans. It also allows changing from a steady stream to a powerful, high-volume spray with a touch of a button. 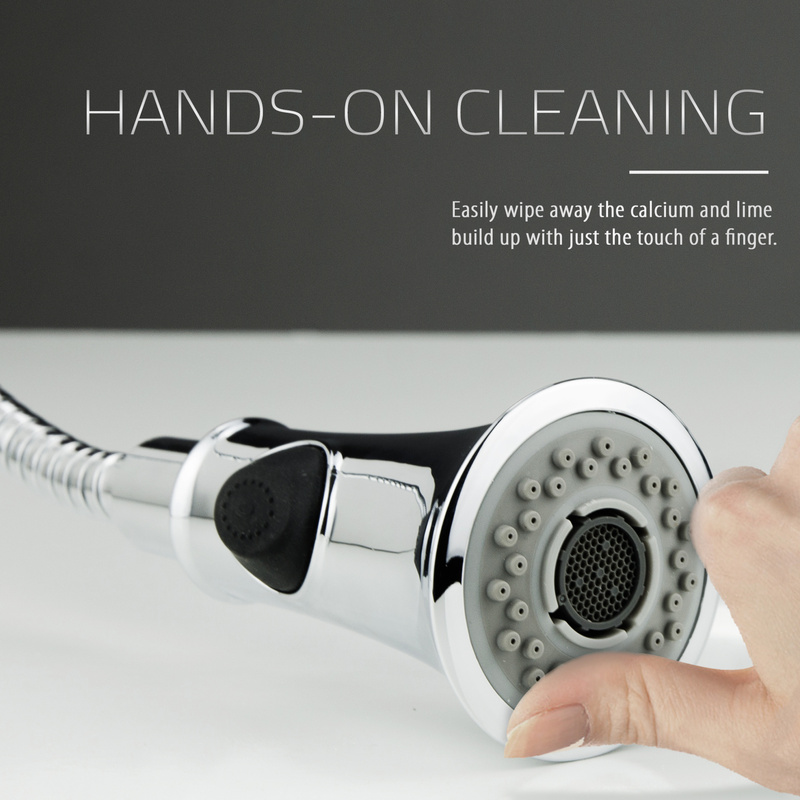 It has Single Handle control which provides ease of operation with one hand. Spout swivels 360-Degree for greater reach. 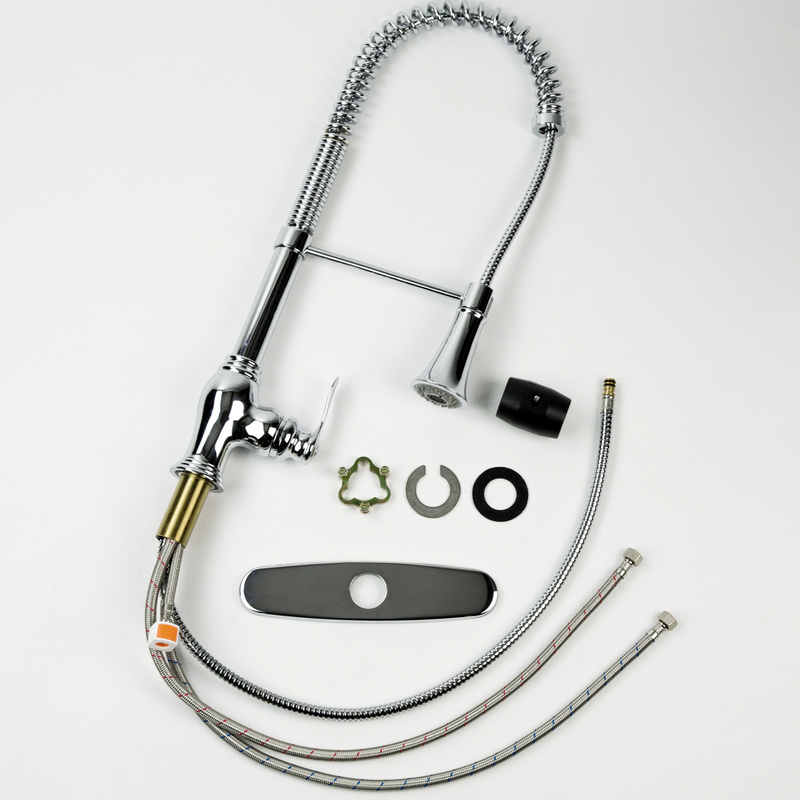 Long lasting counterweight hose and sprayer retraction. Single-lever water and temperature control. 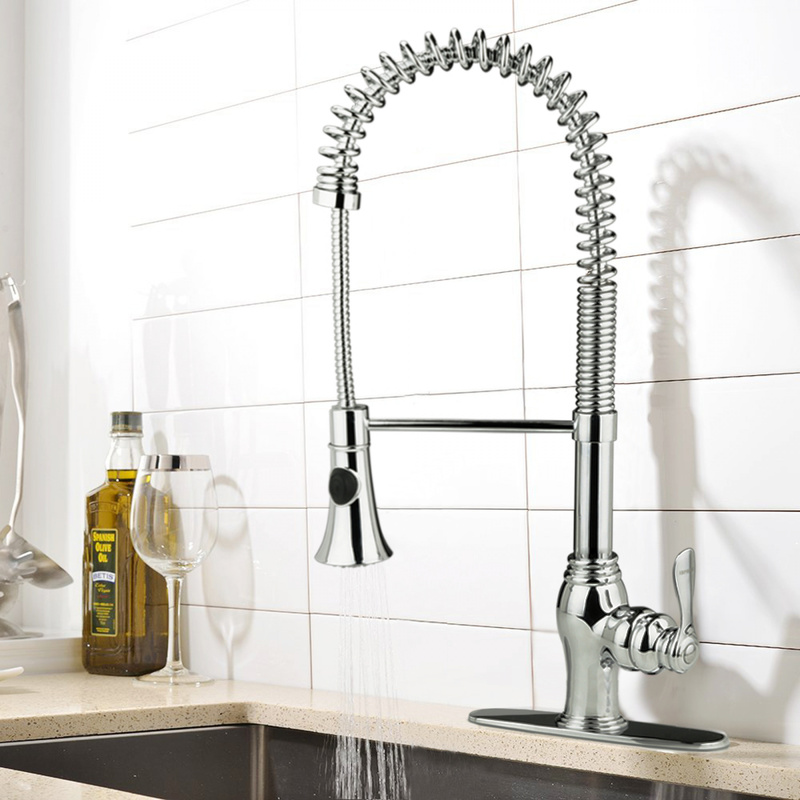 All mounting hardware and hot/cold waterlines are included. Standard US plumbing installation. 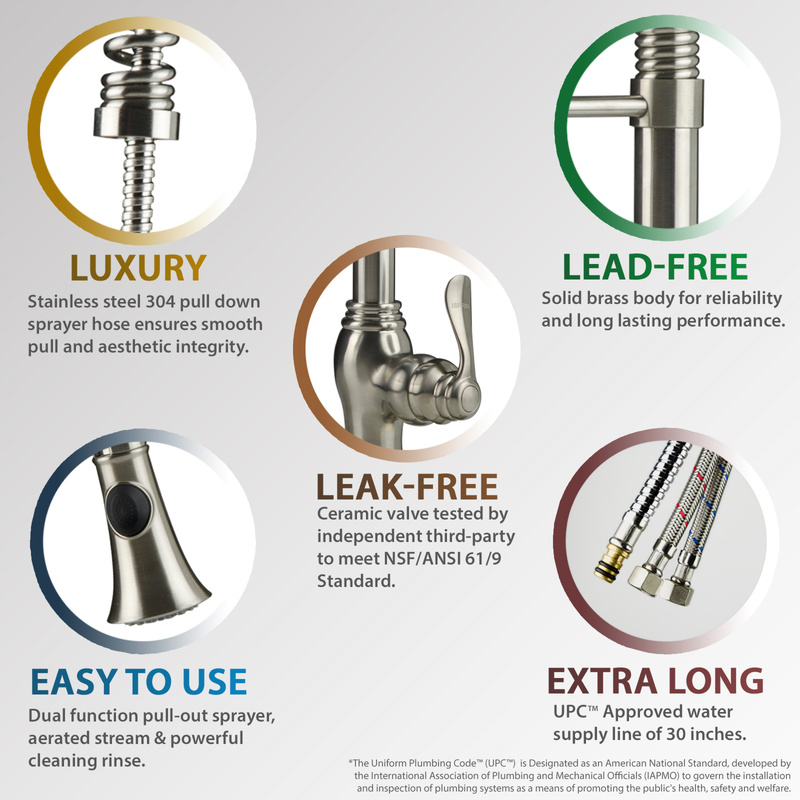 This faucet meets the strict lead-free requirements of California and Vermont.